Jason continued his volunteer week with 20 volunteers helping the Crossing the Pennines team to clear the Hare Path footpath in Colne Valley. The volunteers came from various groups including the local ramblers group and the the Milestone Society. 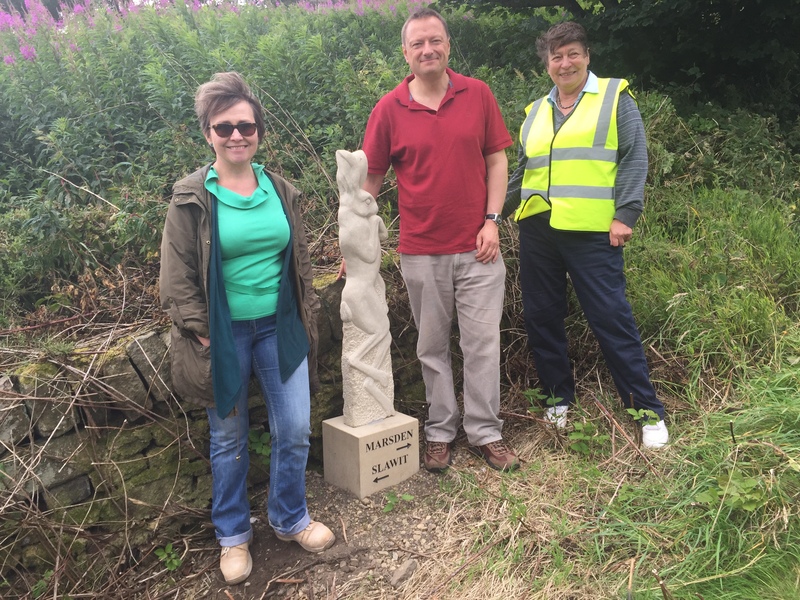 The path statue was commissioned by the Milestone Society and sculpted by Melanie Wilks from Dewsbury.